This run started off with 80 push ups. I was very tired, having only 5 hours of sleep for the previous two nights, but I was determined to get out and complete a run. On top of that, I decided to go for a little longer distance than I’ve been doing in the past few weeks. Crazy, right? Since I was setting out in some serious heat, I decided to wear a personal hydration system (like a Camelback) for the first time. I was pleased that there was no chafing or rubbing. 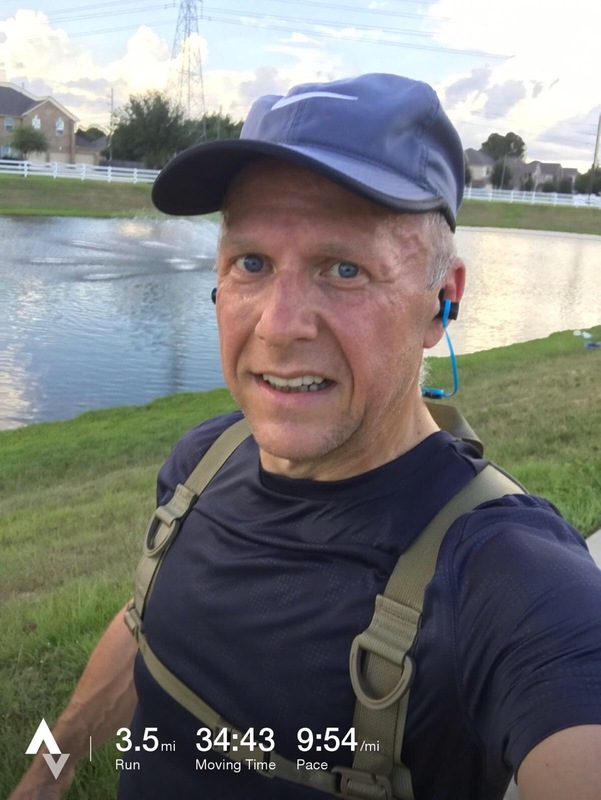 Even though I never drink water before or during a run, since it was so hot, I decided I’d rather be safe than sorry on this run in the event I started feeling heat exhaustion coming on. My pace was slower than usual, but it felt good. Really good. My pace was very consistent throughout the run, as well, which is something else I’ve been working on. Overall, I’m very pleased with this run and I look forward to running again soon.